Carmen Chavez is the Executive Director at Casa Cornelia Law Center, a pro bono law firm in San Diego. Casa Cornelia Law Center provides direct representation in humanitarian immigration applications, including asylum and related relief and protection, special immigrant juvenile status, U and T visas, and VAWA self-petitions and cancellation of removal. It is the only legal service provider in San Diego serving detained unaccompanied alien children and the primary legal service provider for non-detained unaccompanied alien children. For the last 18 years, Ms. Chavez has worked at Casa Cornelia in various capacities, initially as an Equal Justice Works Fellow, then Staff Attorney/Program Director/Associate Director, and currently serves as the Executive Director overseeing a staff of 28 and a volunteer base of over 400. As a Staff Attorney and then Associate Director, she provided direct representation and mentored volunteers handling cases before the USCIS, EOIR and the U.S. Ninth Circuit Court of Appeals. Ms. Chavez has served on task forces, committees, working groups and has given numerous presentations and trainings to the legal community, social workers, law enforcement, students, community groups, faith community, parents and clients. 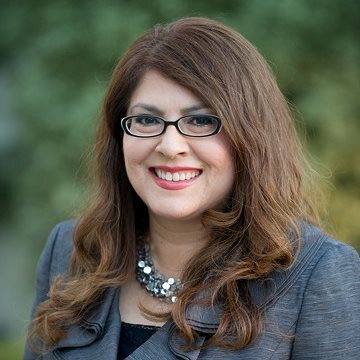 Ms. Chavez is a California licensed attorney and a graduate of Loyola Law School.